Hive, the U.K. smart connected home company backed by British Gas, today announced the Hive Camera, bringing video to its family of smart devices for the first time. 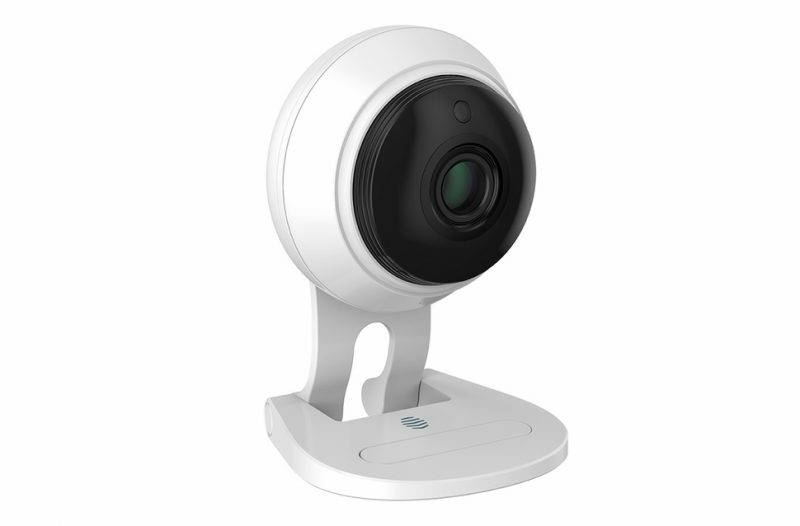 Similar to the Nest Cam, the Hive Camera enables users to monitor their home 24/7 wherever they are, using an accompanying mobile app. The device features motion and audio sensors that can be set to trigger motion and audio alerts, with automatic video recording also included. The Hive Camera's zoom function allows users to get a clearer view of what's happening at home, with the added ability to trigger noises like a barking dog or alarm to discourage intruders. In addition, a two-way audio feature allows users to communicate with family members through the camera, enabling parents to soothe a baby in distress, for example. The Hive Camera will be available in the U.K. beginning June 29 for £129, and joins the growing family of Hive smart products, which now includes motion sensors, smart plugs, door sensors, and smart lights. The company also says it will soon launch a Hive Leak Sensor, which monitors domestic water supply, and the Hive Active Hub, a more advanced version of its existing Hub with an intelligent audio sensor. Hive smart devices integrate with Amazon's Echo speakers so users can dictate actions through Alexa, while the company says it's working on bringing Apple HomeKit support to its products this year. Hive is also in the process of making its smart products available in the U.S. through a partnership with Direct Energy. Hive need to pull their finger out and get homekit support asap. Everytime you email them they just reply saying they will ask their dev team and suggest it. I've got Hive heating and will ditch it soon if they can't sort out Homekit. Surely all they need is a new hub (Like Hue), I'd gladly purchase that. You shoudlnt even need a new hub. HomeKit compatability can now be applied with software instead of requiring the authentication chip. Hive told me they were investigating HomeKit 3 years ago... I don't think its coming any time soon at all. That's why I went with tado. I can't understand why they don't have a light sensor. An extremely simple product to produce and would make it easy to set lights to come on when the outside light level dropped. It would have the effect of increasing the number of Hive products I would buy for all the lights I would then want to control using it. I agree, Hive is already a great product, but having it integrated into Homekit will make it much better. I don't want to be opening various apps to control smart products. I've not really used HomeKit so can't comment - hive is currently my only smart device in the home. Might get some smart plugs soon though, as my meters are being "upgraded" and I suspect I'll start seeing the effect/need to turn off more electrical devices! They seem more interested in designing a new logo rather than developing products their customers want to buy.